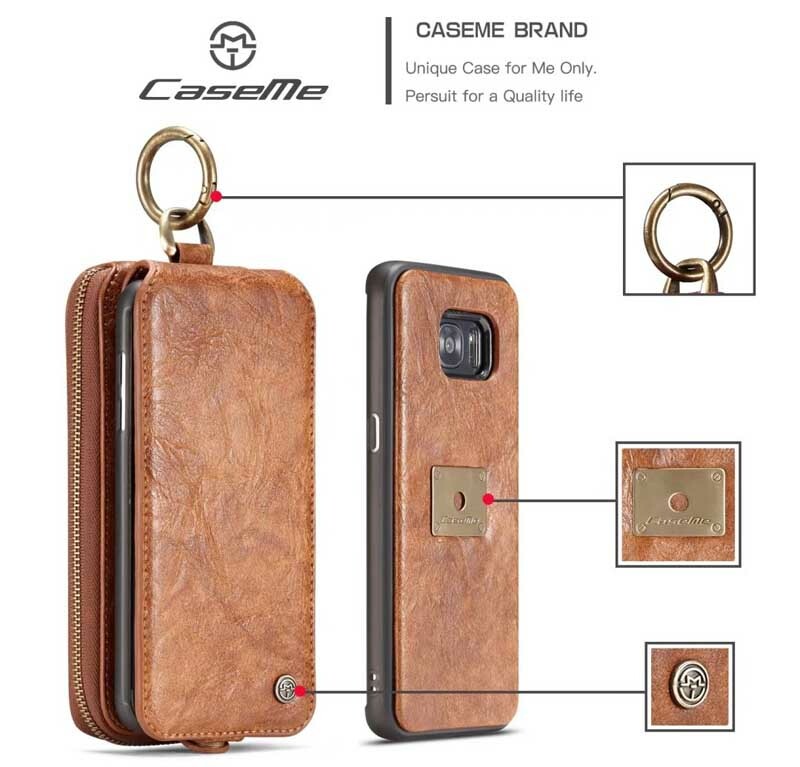 Free Shipping, Buy official original CaseMe Samsung Galaxy S7 Zipper Leather Metal Buckle Detachable 2 in 1 Multi-functional Wallet Case at Casemecase.com. 15 card slots + 2 cash pouches + 1 zipper wallet. Whether you’re on foot, in a car or on a plane, you’ll be able to conveniently carry your cash, cards and device all in one place. – 2 in 1 design, combine phone case with wallet and card slots, so you just need one in hand when go shopping. 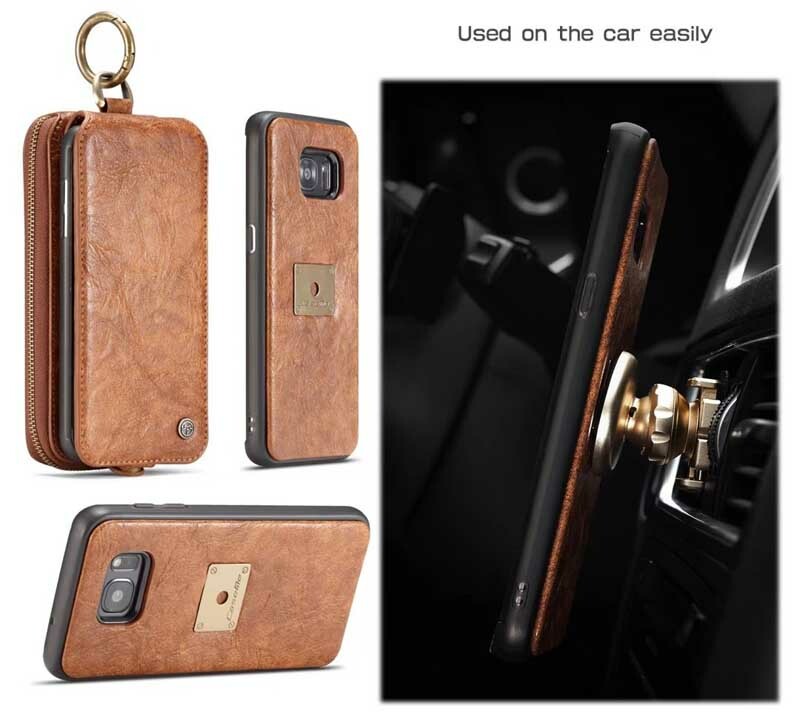 The phone case can also attach on your car. 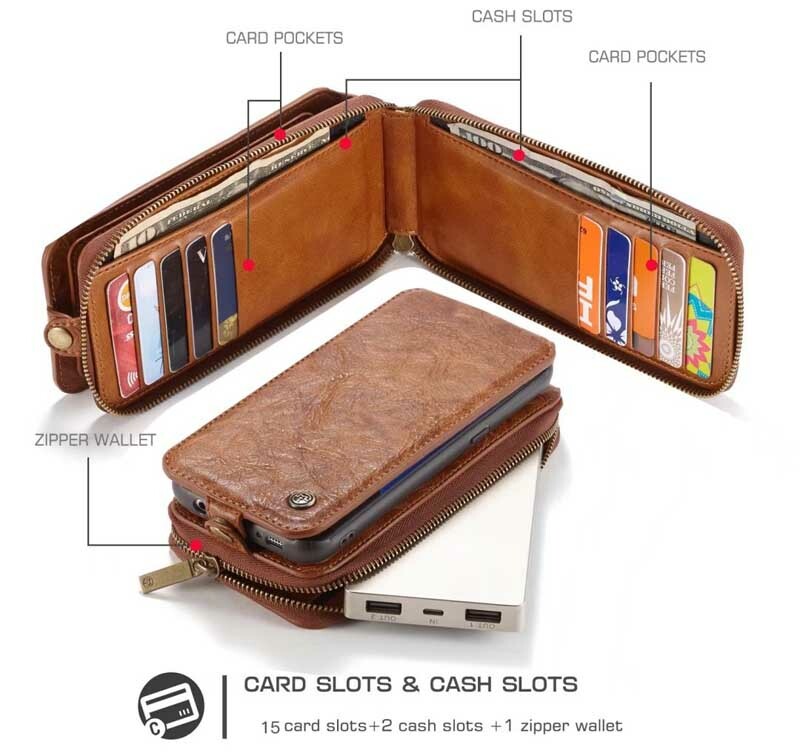 – 15 card slots + 2 cash pouches + 1 zipper wallet, it meets all your daily demand. 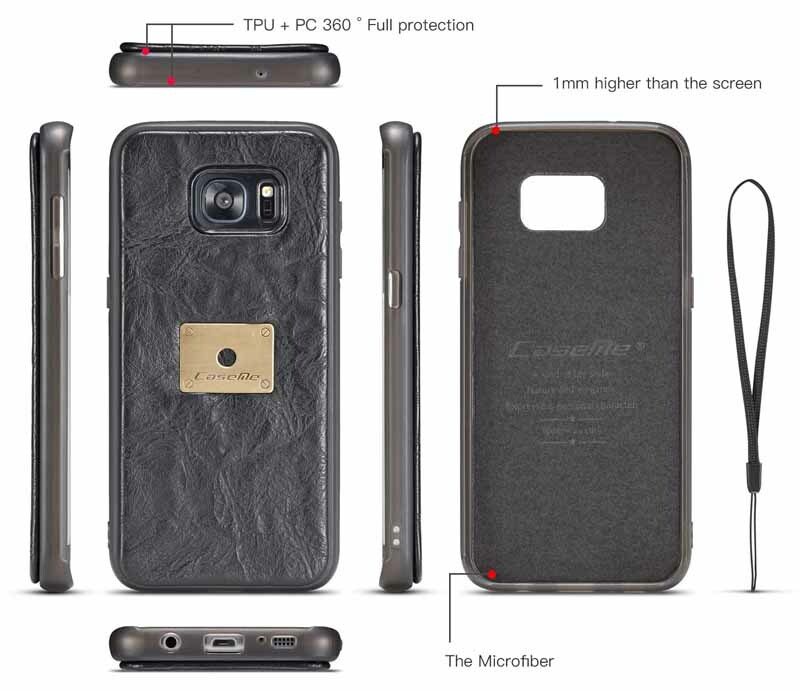 – Double layer leather design for the wallet cover, makes your phone safer and more durable. 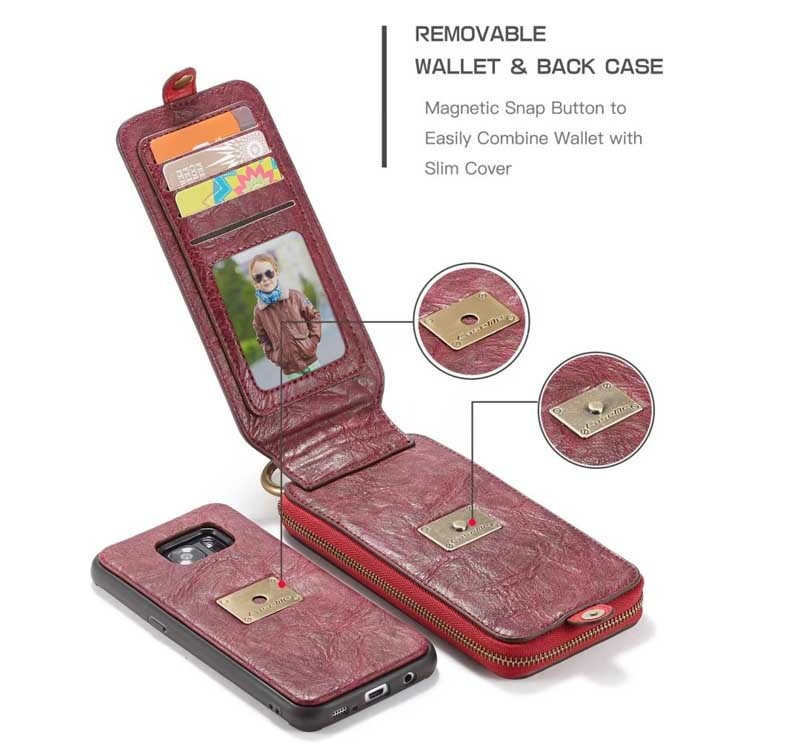 – Strong magnet inserted in the wallet cover and back case, easy to open and close, also you can only use the separate back cover as your choice. – Soft leather, durable and fashion. 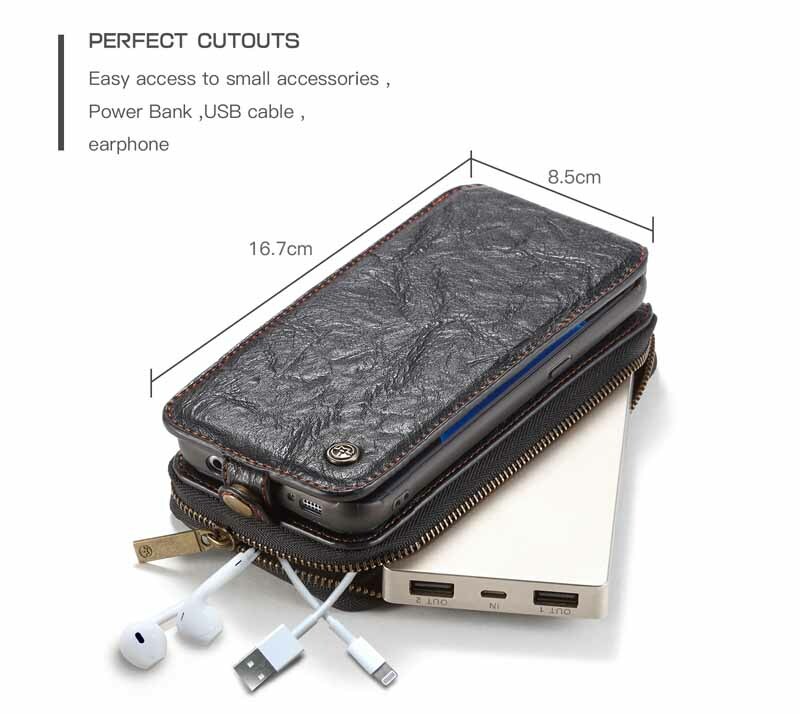 Incredible 12 Card Slots + 2 Cash slots + 1 zipper wallet, as well as a zip pouch for storing items earphone, tickets and coins, the back cover case is rounded off by a sturdy detachable PC and TPU frame. 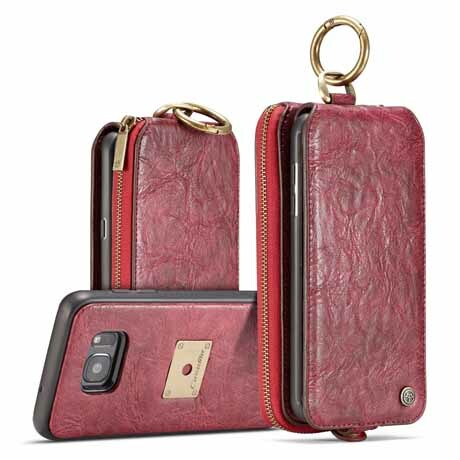 Held to the case by a magnet, this shell is just as stylish and durable as the wallet portion of the case but can be stored in a pocket, making this an ultra-portable option in addition to the excellent functionality already on offer. 1. Material: New back shell speciall material PC+TPU instead hard PC ,both hard back and soft frame, more durable . 2. Color: fine grind transparent black instead simple trddition black looks and feel more luxury . 3. Four corners increase 1 mm height to protect the phone’s screen from any scrath . 4. Back buttom come with microfiber make it more sturdy.